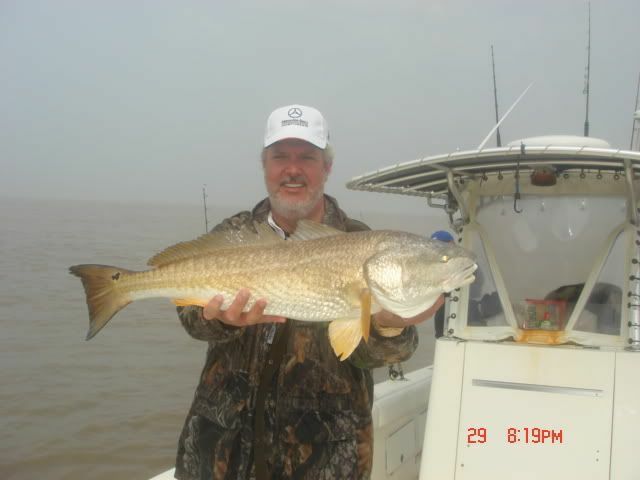 Ran an Offshore Trip with Rance from Dallas and his group on monday. 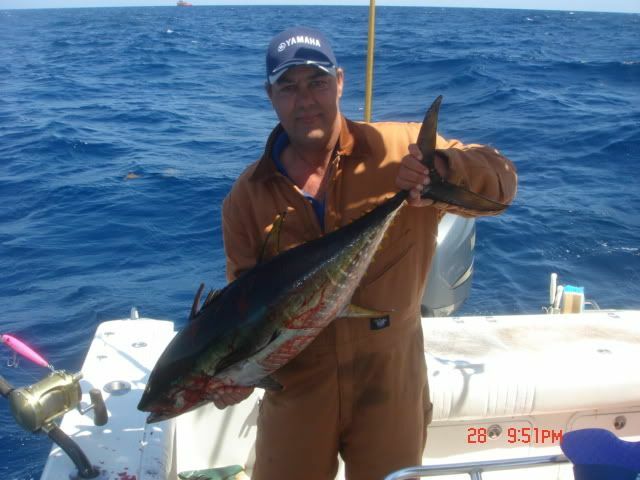 We went out to fish the area where we had been killing the tuna but it was off I couldnt even buy a king mackeral bite so we started working our way south. 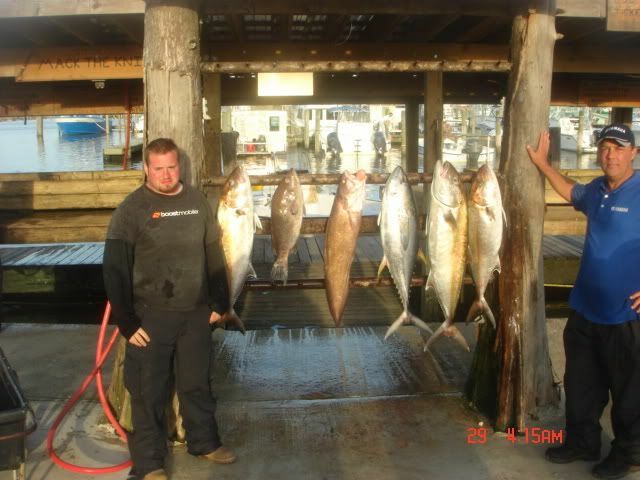 Ended up at a nearby deepwater rig where we snagged a 30 pound yf on the first pass with a squid chain. We had another one come up on a popper and miss and that was it on the tuna bite. I caught some live bait and we headed into some shallower rigs to see what we could snag. 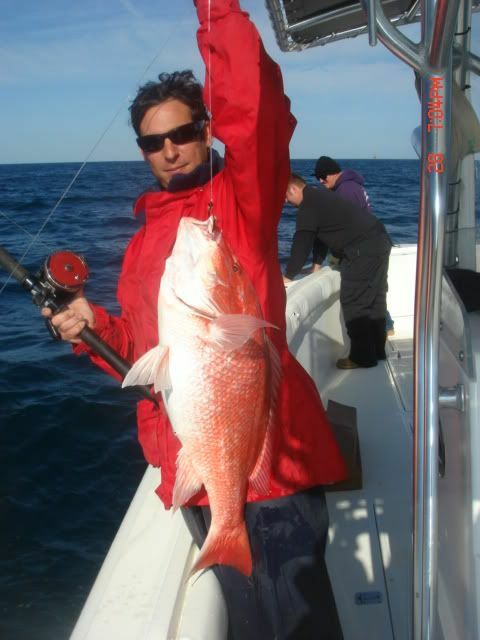 We quickly caught a limit of 25 pound ajs along with a couple nice red snapper that we couldnt keep. the guys said they wanted a grouper so we rigged a rod up and dropped it to the bottom in 400 feet of water. It took about 5 minutes for one to hit and it was over just as quick. I have 250 pound line on my grouper rod and we couldnt even lift the rod off the side of the boat the fish was pulling so hard. It cut us off and we couldnt get any more groupers to bite after that. Rance’s nephew did managed to bring up a huge bearded brotula probably the biggest I have ever seen before we called it a day. 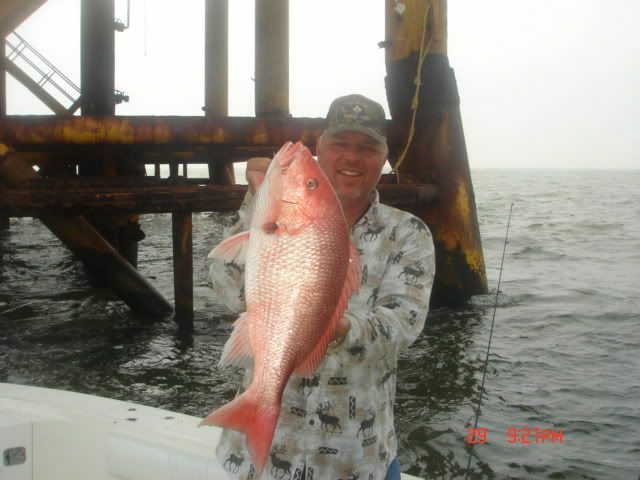 I ran Cass and Roger out for some jetty redfishing the next day but all we were accomplishing was jetty catfishing so I moved out to a nearby rig in 30 feet of water and started wearing out the sheepshead and quality snapper. They seem to be taking over the gulf one rig at a time. Pretty soon well be catching them in the marsh. in about an hour and a half we landed 25 red snapper and not a single one was under 18 inches. 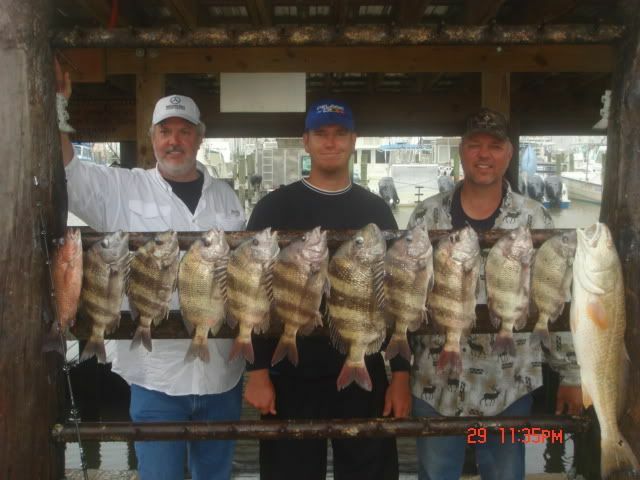 They did get one nice redfish, about 10 sheepshead, and a mangrove out of the bunch as well. This last picture I thought was kinda funny. 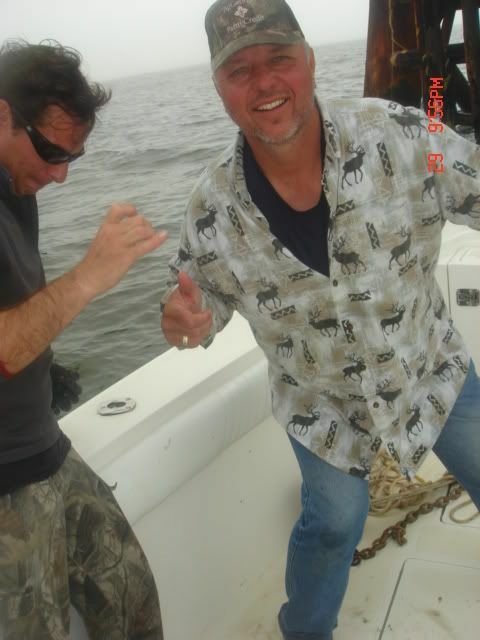 I took the pic right when Josh dropped the snapper he was holding and Roger was still smiling away as the snapper was on its flight to the bottom of the boat. Roger held his own snapper for the next picture.